does Western mainstream, which manufactures ‘public opinion’ all over the world, allows many Chinese (PRC) patriots, Communists, thinkers, to appear on television screens, or to write op-eds? 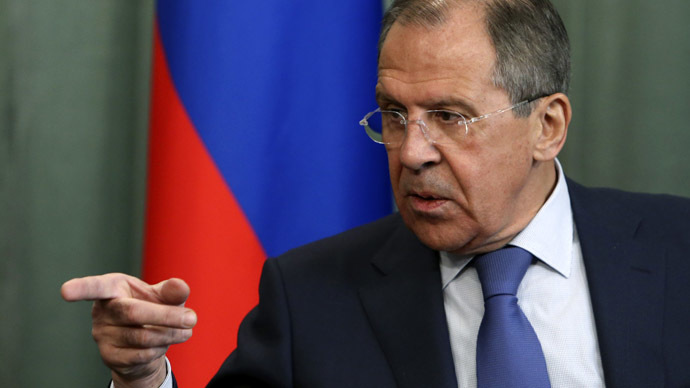 BEIRUT, LEBANON (7:20 P.M.) – The Russian Foreign Minister Sergei Lavrov sent a stern warning on Wednesday to the Western states that are planning to strike Syria under far-fetched pretexts. “There’s an alarming situation regarding the issue of chemical disarmament. First of all, this is in connection with the actions of a number of Western states accusing the Syrian authorities with more and more unsubstantiated allegations of using banned chemical agents. We warn [the West] against new strikes on the territory of the Syrian Arab Republic under another staged pretext,” Lavrov said at a UN Security Council meeting, as quoted by the Sputnik News Agency. Lavrov’s comments come just 24 hours after U.S. President Donald Trump vowed to strike Syria if the Syrian government forces use chemical weapons. “The ongoing tragedy in Syria is heartbreaking. Our shared goals must be the de-esclatation of military conflict along with a political solution that honours the will of the Syrian people,” he said. “In this vein, we urge UN peace process be re-invigorated but rest assured the United States will respond if chemical weapons are deployed by the Assad regime,” Trump told the United Nations. Russian Foreign Minister Sergei Lavrov has warned Western countries against new strikes on Syria. He also mentioned possible provocations with the use of biological weapons, noting that constructive dialogue between Moscow and Washington is needed in order to strengthen the non-proliferation regime. “There’s an alarming situation regarding the issue of chemical disarmament. First of all, this is in connection with the actions of a number of Western states accusing the Syrian authorities with more and more unsubstantiated allegations of using banned chemical agents. We warn [the West] against new strikes on the territory of the Syrian Arab Republic under another staged pretext,” Lavrov said at a UN Security Council meeting. The West will not survive if a political leader does not send the Israeli regime an ultimatum saying that the regime cannot continue to manipulate much of the world with their covert enterprise. Someone has to be intrepid enough in order to address that issue head on. Someone has to tell Israel to abide by the moral and political order. Or else. The One Ring represents power—power to rule and to dominate, power to suppress and eradicate, and power to destroy and to bring entire cities and towns to ruin. 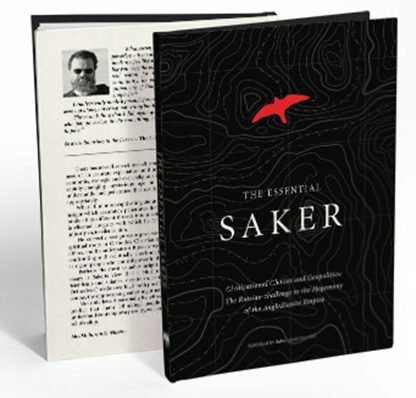 There is a striking parallel between Sauron and the Israeli regime. Both want to rule and dominate, and both want to bring destruction and suffering in the lives of others. “Dumb” and “stupid animals” can’t talk, can’t ask questions, and their job is to follow orders, no matter how stupid and dumb. What if those “dumb” and “stupid animals” die in worthless wars such as Iraq, Afghanistan, Libya, and now Syria? Well, too bad. The Goyim just need to breed new “stupid animals” in order to serve the Israeli regime. After all, the late Rabbi Ovadia Yosef reminded us all that the “Goyim (gentiles, non-Jews) were born only to serve us. Without that, they have no place in the world – only to serve the People of Israel. Why are gentiles needed? They will work, they will plow, they will reap. We will sit like an effendi and eat. That is why gentiles were created.” Effendi means “lord” or “master” in Arabic. “During a combing operation on Saturday, the Syrian army found loads of cannons, RPGs, rockets, small arms and ammunition, including Israeli, in one of Daesh’s* former strongholds in Hawz Yarmouk in western Daraa province, Fars News Agency reported. “This is not the first time that the Syrian army has stumbled upon depots full of foreign-made arms left behind by militants in Daraa. In July, they reportedly found RPG launchers, shells, gasmasks, minesweepers, mortars, heavy machine gun emplacements and TOW launchers produced in the US among the weapons that militants in the province handed over under a reconciliation agreement. Those arms were allegedly supplied by the US to the Free Syrian Army. Daesh or Al-Nusra or ISIS does not have a military industrial complex in the desert forging complex weapons to fight Assad. Their weapons have obviously been provided by other entities, such as Israel and the United States. So when Israeli officials start propounding that they want peace in Syria, they are deliberately lying. The West will not survive if a political leader does not send the Israeli regime an ultimatum saying that they cannot continue to manipulate much of the world with their covert enterprise. Someone has to be intrepid enough in order to address that issue head on. Someone has to tell Israel to abide by the moral and political order. Syria strongly condemned the statement issued by the US, France and UK ‘in form and substance’, stressing that the campaign of threats, hypocrisy and misinformation led by these countries against the Syrian Arab Republic comes within the framework of the continued support for armed terrorist groups. An official source at the Foreign and Expatriates Ministry told SANA that the Western countries, especially the US, France and the UK, are once again resorting to a campaign of threats, hypocrisy and misinformation against the Syrian Arab Republic as part of the continued declared support for the armed terrorist groups, particularly Nusra Front and its affiliated groups. The source added that this new campaign of aggressive threats contained in a statement issued by the three countries comes as a result of the achievements made by the Syrian Arab Army, its allies and the allied forces throughout Syria, which unequivocally showed the defeat of Western allies of terrorists against the will of the Syrian people who have rallied around their leadership and army in a heroic effort to restore the territorial integrity of their country. “Syria has repeatedly asserted that it considers the use of chemical weapons immoral and condemns its use anywhere, under any circumstance and against anyone. Syria reiterates that it has no chemical weapons as it honors its obligations under the Organization for the Prohibition of Chemical Weapons (OPCW) which informed international bodies that Syria has fulfilled its obligations in this area,” the source said. The source noted that it became clear to the world public opinion that Syria has not used chemical weapons in its fiercest battles with armed terrorist groups and those who used these weapons are the armed terrorist groups with direct Western and regional support including from Turkey, Saudi Arabia and Qatar. “In the last few days, Syria has informed the relevant international bodies about preparations by armed terrorist organizations to use poison gas in several areas in Syria. The statement of these countries is nothing but a prior support for any chemical aggression that these terrorist organizations may undertake in the next few days to use this as a pretext for aggression against Syria, as it did in its brutal aggression on 14 April 2018,” according to the source. The source asserted that the Syrian state is keen on saving the lives of the Syrian people and restoring their security and territorial integrity through the settlement of the militants’ status and national reconciliation away from war and destruction. 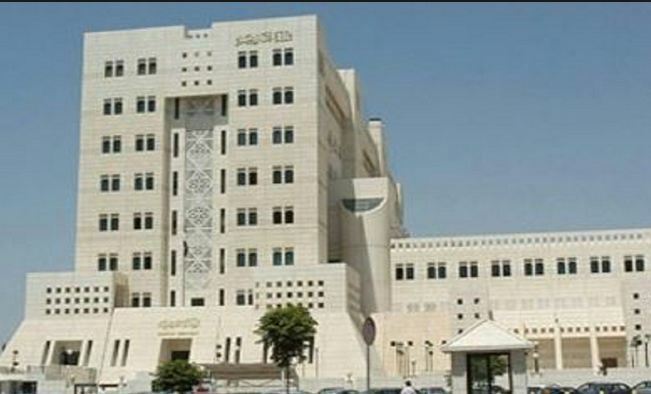 The source concluded its statement by saying that Syria strongly condemns the statement of these countries in form and substance, because its main objective is to justify the use of chemical weapons by terrorist organizations, prolong the war against Syria and support the terrorist organizations that have collapsed and fragmented following the overwhelming victories achieved by the Syrian Arab Army over the past weeks and months.